Vehicles – like people – come in all shapes and sizes. For instance – this beast…..the Peel P50. 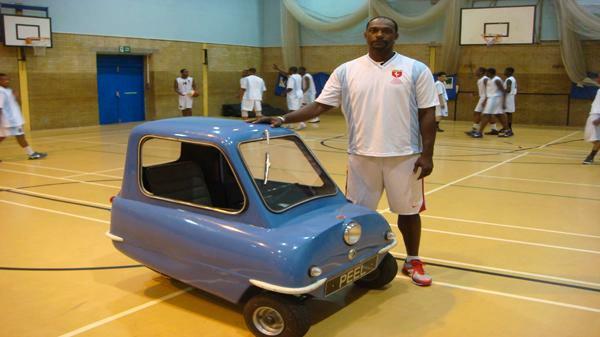 Born in a small factory on Britain’s tiny Isle of Man in 1962, this is officially the smallest street legal car in the world at just 54 inches long and 41 inches wide. After a break of 40-odd years – the Peel P50 is back in production. Weighing just 60 kg, with a top speed of 40 mph and its rear wheel drive powered by a 2.5 kilogram rear-mounted engine – a street legal version will set you back $16,000. If you’re looking for something to impress your buddies – this could be just the thing for you.